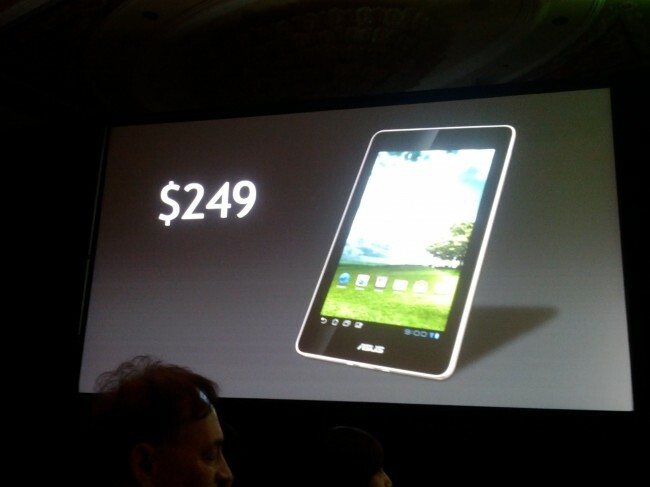 Google’s Rumored $199 Tablet to be Produced by ASUS, Quad-Core Tegra 3 Inside? Further speculation has been released on Google’s rumored upcoming tablet plans. According to our buddy Taylor over at Android and Me, Google was so impressed by Asus’ smaller, yet powerful 7″ MeMo Pad at CES that they approached the manufacturer to discuss producing a similar tablet, but with a complete Google “Vanilla” Experience and with quad-core Tegra 3 power built in. 2012 is going to be the year that we double down and make sure we’re winning in that space. It is also said that production of these tablets could be happening soon enough that they would be made available to attendees of this year’s Google I/O. Wouldn’t that be a nice treat? We love rumors, but of course, they are just speculations between industry folks with no hard data yet. We can cross our fingers though that this is all true. $200 7-inch quad-core pure Google tablet. Sound like a winner to all of you?